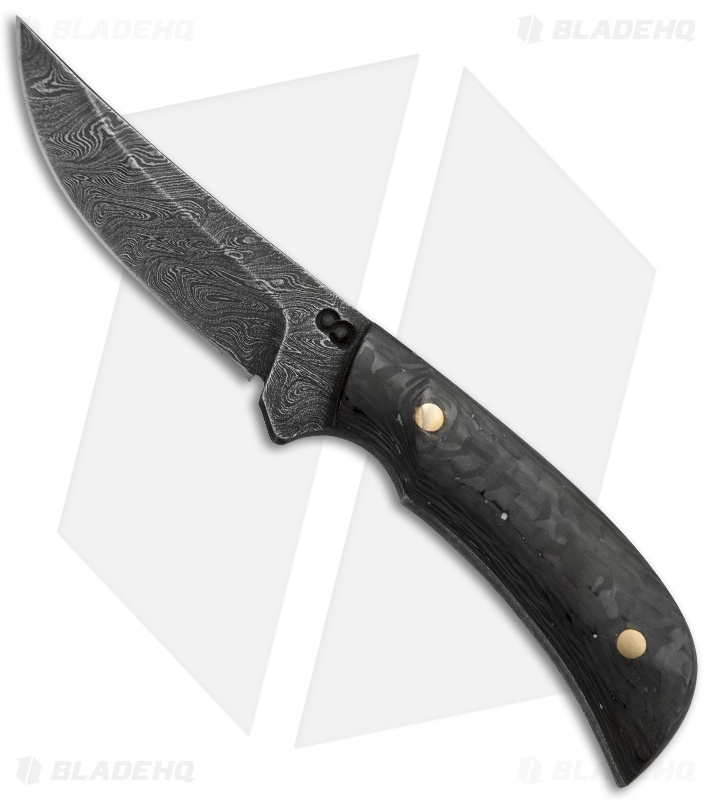 This Persian-style neck knife has a beautiful HCVD Damascus steel blade. 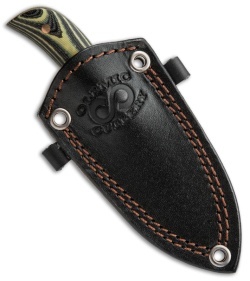 The handle has a carbon fiber front scale and layered green/black G-10 scale on the back side. The Persian fixed blade comes with a premium leather sheath.